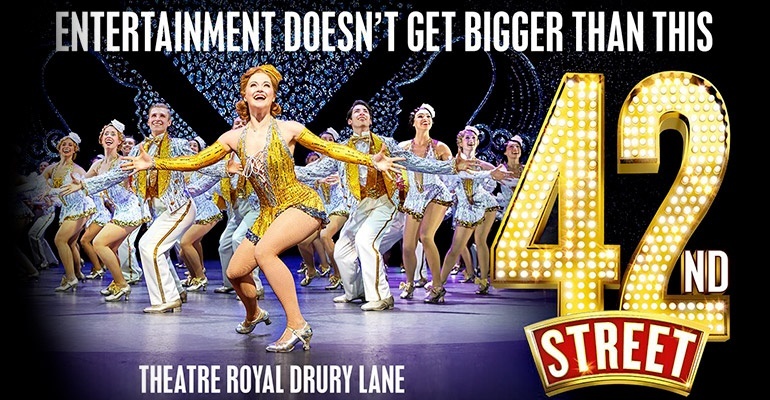 "the show delivers big time"
A 50-strong cast of high-kicking dancers and glamorous singers take to the stage at the Theatre Royal Drury Lane to depict one of the most famous American dream fables in musical theatre. 42nd Street follows the life of young Peggy Sawyer, who arrives in New York with high hopes of a successful stage career. When the leading actress of Broadway’s newest show gets injured, Peggy must prove that she’s got what it takes to become the next big star. 42nd Street is directed by Mark Bramble, who wrote the original book for the Broadway and West End productions alongside Michael Stewart. Based on the 1933 film of the same name, the show first opened on Broadway in 1980. It went on to win the Tony Award for Best Musical. This stunning new production includes a host of classic American songs including "Lullaby of Broadway", "I Only Have Eyes for You" and "42nd Street". Recommended for ages 5+. Under 4's will not be admitted into the venue. wonderful! brilliant! Seen it 3 times and will go again for the last night! The MUST see before it closes! go! go! go! Absolutely spectacular show! The energy from the cast was brimming and poured into the audience. Would recommend 42nd Street to everyone! This show is a must see it's the best show in town and it will have you smiling from ear to ear as well as tapping all the way home AMAZING!! !